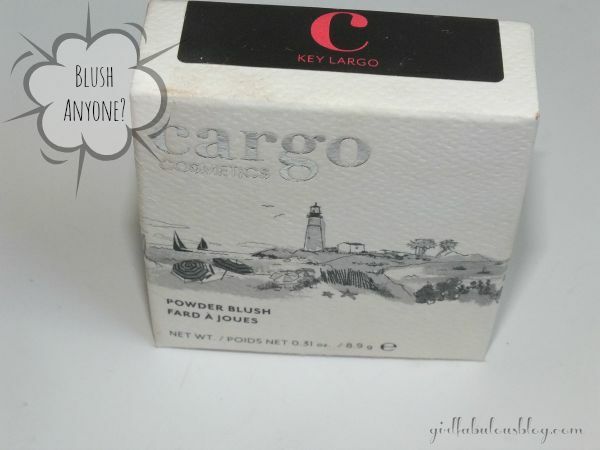 Let’s take a trip to Key Largo, blush that is. 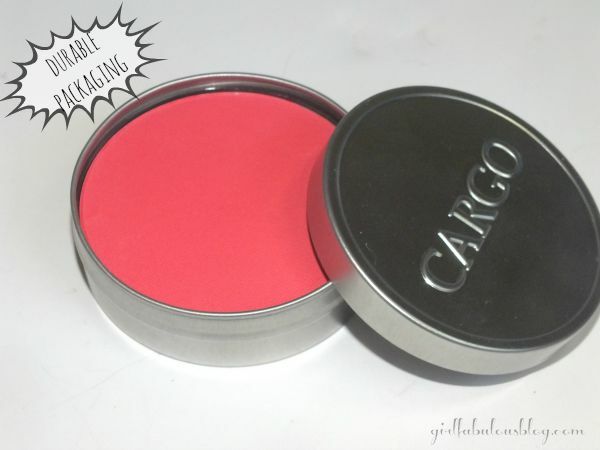 Just like in my previous post on the Cargo Cosmetics eyeshadows, I purchased this blush during the Macy’s sale. I’m pretty sure I only paid $9 for it and with the original price being $26.00, I jumped right on it! #winning If you want to see the deets on this beauty then hit the button and keep on reading. It’s this just a beautiful color. It looks a bit intimidating in the pan but with the right brush and a soft application it can be sheared out so beautifully. This is perfect for the Summer months but it can just as easily go into the fall. The packaging is so durable and perfect for travel. It’s small enough to fit into a make up bag and the top is secure enough that it will not come off and strong enough that it will no break. Key Largo is described as being a tropical punch shade. I’m not even sure what the means. It almost comes off like a pink with a berry undertone. It’s a smooth finish just as it’s stated above and applies well. It’s not powdery and it’s a matte finish. You will see a bit of glitter in my swatch but it’s from a different product. It’s a beautiful color and I love the way it feels. I can’t complain not one bit. You see how well it blends out. 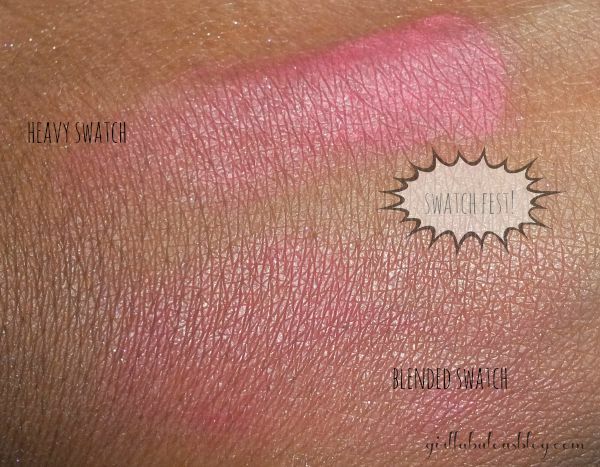 It’s clearly not as intimidating swatched and applied as it is in the pan. I have no complaints about this product other than the $26 price tag. Overall, it’s another great product that I highly recommend. If you have tried this product line please let me know and we can chat about it!